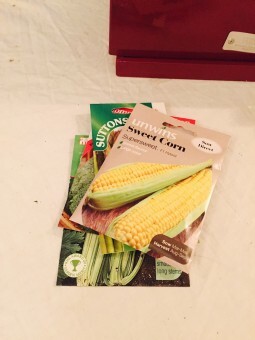 Vegetable sowing is a go! It has been so cold, and so dark, and so wet, that we’ve barely considered getting our vegetable seeds into the ground. However, despite what the weather might be saying, it is March, so we bought everything into the warm house instead and potted up on the kitchen table. We’ve got our first load of tomatoes, chillis, peppers, aubergines, and our herbs in – everything that will be bought on in the greenhouse initially. 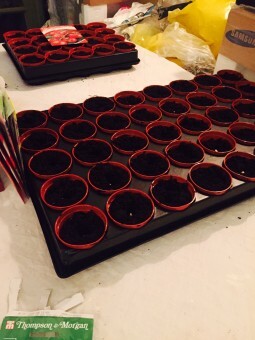 It still feels too cold to be planting outside – that will wait another week! We used the spreadsheet we put together in January to make sure we didn’t miss anything. 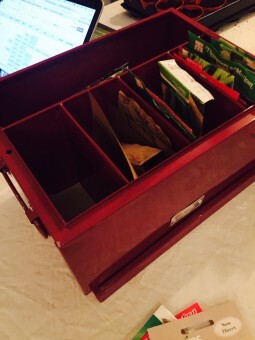 We also had all of the seeds ready filed in our new seed box that David’s mother gave us for Christmas, which will make successional sowing easier this year. 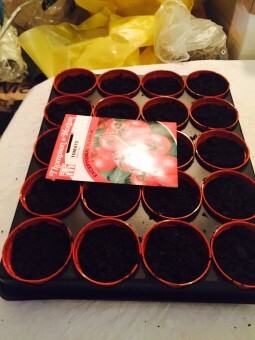 I picked up these great seed trays in the garden centre when they were on half price, they allow you to take out individual pots and make transplanting a doddle. Last year we ended up breaking some of the delicate little seedlings because the trays we used allowed all of their roots to tangle, but these should make a big difference.